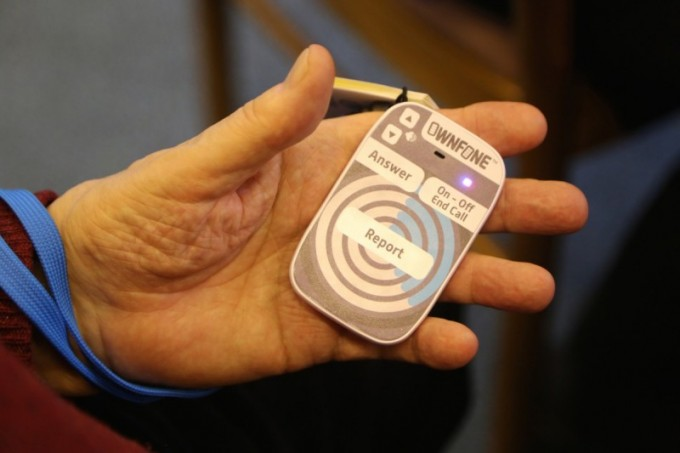 The stories were all recorded and sent in by people living with dementia from around the UK using custom-built 3D-printed reporting phones (pictured above). This process allowed people with dementia – typically underrepresented in the digital sphere – to have their voices heard and their stories shared online. Many of the stories are great examples of how there is more to a person than their dementia and that it is possible to live well with dementia, which are two of the key messages of Dementia Friends. Dementia Diaries is a national project, bringing together people’s diverse experiences of living with dementia as a series of audio diaries. It is both a public record and a personal archive that documents the day-to-day lives of people living with dementia, with the aim of prompting a richer dialogue about the varied forms of the condition. It aims to improve the public’s understanding of dementia, as well as being used to improve services and policies that affect people with dementia. Last year, the Dementia Diarists have sent in over 1500 reports, which have been featured by media organisations such as BBC World Service, Sky News and Buzzfeed. They also led a ‘Twitter takeover’, during which their stories were featured on Comic Relief’s Red Nose Day feeds throughout the day. The hashtag #DementiaDiaries trended nationally on Twitter. The reports are also packaged up for organisations and businesses in order to improve their services. They’ve been used to provide insights for the telecomms industry about how to deal with people with dementia over the phone, for NHS public engagement and education projects, and to improve the way the media industry reports on dementia. The Dementia Diarists have a unique range of insights about what it’s like to live with dementia – whether you’re an individual, a business or an organisation that would like to ask the Diarists a question, please get in touch here. Other than altzimers one that one doesn’t get used. Talking Point is a very active community with a lot of discussion. Perhaps it would be what you are looking for? Otherwise I’m afraid I don’t know of any other chat rooms for people affected by dementia. For more support and advice, you could try calling the Alzheimer’s Society National Dementia Helpline 0300 222 1122. They can provide information, support, guidance and signposting to other appropriate organisations.